I had to be about 11 or 12 when I discovered the the Original Decca Masters Billie Holiday compilation album. My mother and I were at my grandmother’s house for the weekend. I was on the search for some good music. For this, I could always depend on my grandmother’s collection of cassette tapes, LPs and CDs. She had music from the 1930s up to present day. Around this time I was really digging jazz. 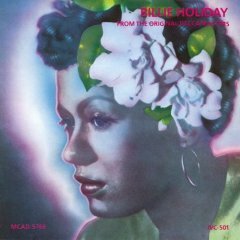 Much to my delight, I came across this Billie Holiday album. I remember my mouth was agape upon seeing the album cover. 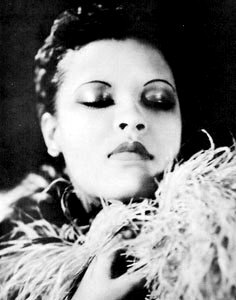 I was floored by Billie Holiday’s beauty. She had to be one of the most stunning women I’d ever seen. Couldn’t say I’d heard (or remembered hearing) much of her music at the time. So you know I was dying to put the CD in for a spin. I don’t think anything could’ve prepared me for the experience. Image courtesy of MTV’s website. The Original Decca Masters album changed my life. After one listening, my whole perspective about music had changed. My appreciation and love for music grew exponentially. As a music fanatic, singer, and lyricist (even then), it widened my interests and expanded my knowledge. 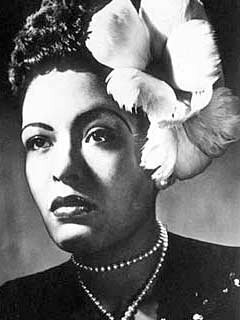 After hearing Billie Holiday’s voice I knew why she was considered one of the best vocalists ever. The timbre of her voice, the way she’d bend notes and sing behind the beat, her sense of rhythm, swing, timing and phrasing–she had it all (and then some). In her voice I could hear the influences of her favorite singers, Louis “Satchmo” Armstrong and Bessie Smith. Yet her style was extraordinarily distinct. From her (and a few other vocalists), I learned how to truly get inside of a song and make it believable. With Billie Holiday, there was no doubt that she knew what she was singing about. She felt it. And you, as a listener, couldn’t help but feel it too. Image courtesy of the More Than Just Wine blog. In remembering Billie Holiday and her voice, singer Annie Ross said, “There’s a whole life in that voice.” Listen to songs like “Solitude,” “You’re My Thrill,” “Good Bless The Child,” “Keeps On Rainin’,” “Ain’t Nobody’s Business If I Do,” “Lover Man (Where Can He Be),” and “Good Morning Heartache” and that life unveils itself. In fact, you’ll be able to glean something new and different each time you listen to her music. This is why Holiday, Ella Fitzgerald and Sarah Vaughan (amongst others) remain the blueprint for song (of any genre), period. 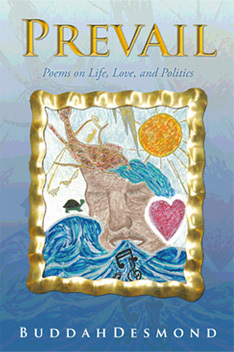 Image courtesy of A Liberal’s Libretto site. After hearing the Original Decca Masters album, I devoured as much as I could about Billie Holiday. Books, documentaries, videos, music, you name it. She was one of the best and I committed myself to learning as much about her as I could. I thought it sad her passing so early. But the richness of the legacy she left behind is eternal. Her influence is limitless, boundless. Billie Holiday will forever be one of my favorite vocalists. 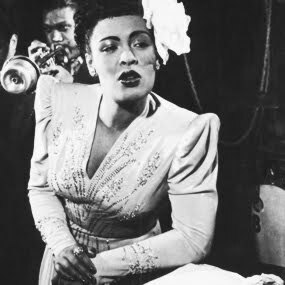 This entry was posted in Billie Holiday, Images, Influence, Music, Video by BuddahDesmond611. Bookmark the permalink.